Liver detoxification by increasing glutathione reserves! Liver detoxification is very important in order for our liver to function well. The liver is, after all, the body's major detoxifier. Imagine a sieve about the size of a football. The liver filters all toxins in the body, and eventually excretes it out of our body. If our liver is not functioning well, the toxins that are not excreted out of our body remains in our body. And when toxins freely circulate our body, our body gets sick. At the right is a picture showing the liver (in brown shade). The gallbladder (in green color) is the tiny organ on the underside of the liver that stores bile. Bile helps digest fats that we eat. Detoxifying our liver not only helps our liver to function well, but also aids in the entire digestion process. This includes the prevention of gallstone formation in the gallbladder. Our liver detoxifies our body 24 hours a day. Glutathione and other endogenous antioxidants work 24/7 in quenching free radicals in the liver. The more free radicals, the more glutathione is used and depleted. The liver is protected by natural antioxidants. The most abundant of which is glutathione, the body's master antioxidant. Glutathione is produced in every cell of the body. It, however, is manufactured mainly in the liver. Liver cells rely on glutathione to fight free radicals caused by toxins as well as by the actual act of detoxifying itself. Since the liver is the major manufacturer and storage facility of glutathione in the body, does it make sense to increase our glutathione levels? Aside from glutathione, there are other nutrients and herbs that help in liver detoxification. The most effective of these nutrients are n-acetylcysteine or NAC, methionine or a form of methionine called S-adenosylmethionine (SAMe) and alpha lipoic acid. The most popular herb that helps detoxify the liver is silymarin from the milk thistle plant. Silymarin is an herb that protects the liver from various toxic materials. It contains silybin that prevents toxins from entering the liver and helps promote growth of healthy liver cells. As such, it has been used in the treatment of hepatitis, cirrhosis, inflammatory liver disease and liver damage from toxic substances. Silymarin has antioxidant properties as well. Do you want an inexpensive way to detoxify your liver? Try the Liver Flush! How I wish I have read the Liver flush method before I had my gallbladder removed in 2006. I might still have my gallbladder today! So if you have gallstones symptoms, I strongly advise you to try this first before undergoing surgery! It's all natural and inexpensive! 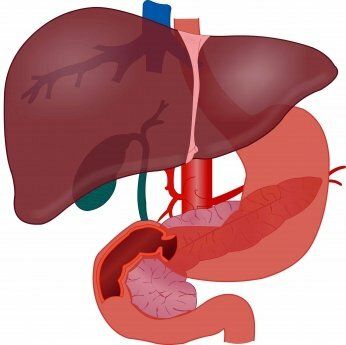 Click here for the Liver flush. Liver detoxification will clean your liver and other digestive organs. And a well-functioning liver will prevent a host of diseases from brewing.